Niklaus Troxler is a graphic designer. Niklaus Troxler is a jazz fanatic. Nearly forty years ago, Troxler invited a jazz group to play in Willisau, the small Swiss farming town he calls home, and thus it began: Willisau became established as an unlikely destination for jazz musicians and their fans, and Troxler began to acquire a reputation as a designer to watch. Today, his work is exhibited, published, and collected all over the world, and Jazz Festival Willisau — which has hosted Keith Jarrett, Lester Bowie, Dewey Redman, McCoy Tyner, and the Kronos Quartet, among many others — is about to celebrate its 37th year. The posters that Niklaus Troxler has designed to promote jazz in his home town can be viewed as a single, self-initiated project that has developed over five decades, a body of work that has few, if any, precedents. Spanning an astonishing range of styles, the posters are united by a single thing: the passion of a single man who serves at once as designer and client. Many young designers dream of a world where they can set their own agenda and create without boundries. For most of us, this remains a fantasy. Niklaus Troxler proves that it can be done. This essay was originally published January 30, 2007. Thanks for the poster slide show ... especially appreciated since I will not be able to make the show. Designing without boundaries-- to jazz... how beautiful. So, I looked at the slide show and Mr. Beirut, I think you are over-selling these posters. There's a reason Troxler's not on the A list. As individual posters, each one is ok (some obviously more interesting than others) and as a set of posters about different ways to image jazz, they are ok, but they don't have the singular vision that we ascribe to posters and those who design them. For instance, the work of J. Mueller Brockmann or any one of those Polish guys whose names I can't spell or even your posters for the Yale architects seem more interesting, because they are the result of a vision turned into a form that is communicating an idea, and if they are all about music or films or architecture then the test is in how the images and type address that repeating problem. But Troxler is sort of all over the place, despite the fact that he is faced with the same problem over and over again. You can see the influence of the work of other people affecting his choices, and his own personal fads that he works through (like the posters that feature drawing that sort of looks like neon tubing). And the type seems like an afterthought on an awful lot of these. It's clear he has some imagination, but that's not enough to make his work something unique. Sure, jazz fans are going to like these, but not for the quality of their graphic design: they are going to like them because it's fun to think of Cecil Taylor as a surreal green monster... whatever that means (and nevermind that that one seems like a complete "homage" to Shigeo Fukuda...). I have to disagree with you dear Tarpitizen. These posters are quite interesting and they each reflect music in one way or the other. And being so different from each other is what adds this certain musical charm to them. I admit I do not know much about Niklaus Troxler, but the posters are as rich and vibrant and reflect the personality of all the different performers who have been to Willisau. I liked all the posters and look forward to what next would Mr. Troxler create. I see music in all the posters, not only in the compositions, but in the use of colours and fonts. And this is what combines them together, as a series of posters. It is not often enough in this digital age, that we can see original posters, listen to live jazz, and contribute to sustaining (and rebuilding) such a vital part of our culture. I am all for the activist designer and hope there can be more events like this to come. See you there. Tarpitizen, I'm not sure who makes the official lists, but for me Troxler absolutely makes the A list. I admire designers who can stick single-mindedly to a restricted visual palette for years. Troxler is not one of them. His imagination is restless, and when I view the breadth of his work (particularly in Jazz Blvd., his monograph from Lars Muller Editions), I can see the reiteration of 40 years of graphic design history in real time: Pushpin, Tissi, Fukuda, even Muller-Brockmann. What impresses me is that rather than settling into a groove, he keeps jumping genres, pushing himself to find something new. If you decide you're going to do nothing but use Akzidenz Grotesk for the rest of your career, you can devote yourself to a lifetime of refinement. If, on the other hand, you decide to never repeat yourself, you dance with disaster every time. Troxler has guts, and I applaud him. OK, I'll look at the Lars Mueller book. Maybe more is more. But I guess it's Troxler's "reiteration of 40 years of graphic design history" that keeps him off my A list (for what's that worth, though clearly he gets an A for effort, or bravery). The stuff that sends us is the inventors or the innovators, no? I supppose there are such things as inspired "reiterators" but looking at this, I'm not sure. This post has made me wonder about the connection between poster designers and their subjects: Rodchenko and rubber galoshes, Fukuda and anti-war protest, Mueller Brockmann and Hindemith...all these designers made their subjects look more interesting. But I dunno, on the way to 40 years of reinterpreting jazz, there are just a few too many even in this slide show that look dialed in: sketchy horn players, brash colors, all very "jazzy" in a mid-cult sort of way. Perfect for a bus stop in Bern, or my dentist's office in Brookline, kinda "Kenny G"-ish, and I guess I think the sublime Cecil Taylor deserves better (or at least something as good as the 1980 McCoy Tyner, or the 1990 Willem Breuker). The featured Cecil Taylor design is quite nice IMO, but some of the others  while I might like them from a freeform design point of view  make me wonder how effective they were as posters. We these hung around town in cafes and on lightpoles? If so, some of them didn't community well enough to advertise the event it seems to me. Sure they caught your attention, but they didn't keep it after it took so much effort to actually dicipher. Mr. Moron, " "so what"? SO WHAT? That is a response? No, that is a churlish dismissal of the twice brilliant musings of Tarpitizen and all the others who are not so sure about the excellence of Troxler. Tarpitizen both critiqued and then graciously expanded upon Mr. Beiruits different opinion. To cut this conversation short with a slap on the face of one of our most eloquent DO dialoguers - I think it's shallow. My own opinion of Mr. Troxler, great from afar but far from great. I like the formal experimentation, the neon colors, the scribble and scrabble, but, while I can not deny the craft, it never really seems inventive and always looks two or three times removed from an earlier source. I think Tarpitizen's sharp eye and obvious design history knowledge (look at the dates - alas David Cabianca, despite all odds against there are educated designers out there) lead to a fair if not universal conclusion. Tarpitizen, I hang upon your every utterence in awe and humility. Hmmm... in all due respect, tarpitizen, Niklaus Troxler has been a pretty notable artist on the international poster scene for years. Just because he may not have been on your radar doesn't mean he hasn't been on others'. I've been told in the past that Troxler's work has been so widely imitated that he's arguably set something of a standard for jazz festival/concert graphics worldwide. Though I can't say so authoritatively, perhaps that's why his style may seem common from your standpoint. Many of his posters, I believe, are still popular and in demand. I always find this to be a rather irritating criticism. To me, a wide diversity of approaches -- some of which, obviously, will be pulled off better than others -- should be one of a designer's greatest strengths. To paraphrase Dylan (among others): an artist should be in a constant state of becoming. I applaud anyone who constantly experiments and pushes themselves beyond existing boundaries into new territory, even when some of the output will invariably be duds (a.k.a., noble failures). And while a trademark underlying "feel" is perhaps every auteur designer's aspiration, I just don't understand why being bottled into one unchanging style would be considered laudable. In Troxler's case, I love that the last poster (McPhee) looks so absolutely different from the first (Pullen). I do, however, like your point about bridging the connection between poster designers and their subjects. I know Victore has said some interesting things on that subject. Well, sometimes graphic design should be more than just solving a problem, right? It can also be expressing ideas, messages and feelings with exuberance, vitality, humanity and heart, visually conveying the magic or wonder or energy of a particular facet of life -- right? And I don't think anyone would ever say that, whether seemingly "Kenny G-ish" (to use tarpitizen's words) or not, Troxler's designs lack heart. Now, having mentioned all that, some of Troxler's posters aren't so much my cup of tea stylistically either, while others I'd consider practically sublime. Regardless, to be so dismissive of the guy, and accuse him of being "oversold" in this instance, seems kinda narrow. In some ways, Michael, that's one of the most inspiring aspect of Troxler's work, given the backstory. Lastly: thanks Joe Moran -- that movie is amazing! Michael, thanks for sharing this with us. It would be wonderful if weekly 'From the Archives' were written about designers who do not have their own self-titled monograph, who do not appear in textbooks, and who generally do not appear anywhere noticeable. Our U.S.A. design canon includes talented individuals, but leaves out some that deserve recognition. Jazz is as American as Apple Pie or baseball, and to have a designer invest so much of himself over five decades is a testament to not only his talent and ambition, but also the visual development of how Jazz music is rendered. Looking through my own library, I found one Troxler image in Meggs' History on page 512, but it was a typography poster. Where do you discover these wonderful designers, Michael? "so what"? SO WHAT? That is a response? I met Troxler for the first time about 15 years ago, and I began to follow his work then. He was in New York for an Alliance Graphique Internationale conference. He is one of the most warm-hearted, big-spirited, fun, and funny graphic designers  or make that people  in the world. But Troxler is sort of all over the place, despite the fact that he is faced with the same problem over and over again. You can see the influence of the work of other people affecting his choices, and his own personal fads that he works through (like the posters that feature drawing that sort of looks like neon tubing). I think this brings up an interesting point when looking at a persons body of work (in general - of course this is an incomplete section of Troxler's work). Within graphic design education, I see two schools of thought on the subject of diversity and style. While one insists that we must diversify our portfolio (whether that be in style, or medium), another school of thought condones creating and developing a style and/or specialization - to direct ourselves with a particular goal in mind. Right now, I'm sitting on the fence on this one. And while Troxler's work clearly shows influences from the styles of 'other people,' what designer isn't affected by the visual aesthetic of others? I think to be uninfluenced (to not interact with) culture and style in some way is to be removed from culture, and that is a shame. Besides, experimentation is fun even if that means you risk 'danc(ing) with disaster'. I enjoyed Troxler's posters, but I think I would have appreciated them more had I been at the event to experience these wonderful musicians perform. Michael Bierut's slideshow of Troxler's work is small in size and quantity, 2 words I would definitely not use to describe his work. Most of the posters, if not all, are the 'Swiss dimensions', 90cm x 120cm, roughly 35" x 50". They are impressive and effective. It is also important to note the wide variety of processes he uses when producing the posters, offset, foil stamping, metallic inks, individually hand painted, truly unbelievable. Thank you Michael for reminding/(educating) the community of this great, and living, poster designer. For all of you who still have doubts, attend the event, you will be amazed. As a designer for whom jazz is a lifelong love affair and whose work to a huge degree is passionately committed to not-for-profit causes, I can only applaud the idea of AIGA/NY to present posters of Niklaus Troxler while listening to the uncompromised music of Cecil Taylor and John Zorn with Masada at [email protected] The event smartly benefits Common Ground, the organization that proved to be the real deal in New Orleans already. As for Tarpitizen's comment on "... any one of those Polish guys whose names I can't spell..." maybe as a Polish émigré in New York I can help a bit here: certainly R. Szaybo, J. Lenica, H. Tomaszewski, among others, did great jazz posters, including the brilliant ones by Waldemar Swierzy. Lastly, as a graphic designer whose own last name has been misspelled hundreds of times over the last 25 years by my fellow Americans (somewhere in our office is an "Alterations" folder with the more creative interpretations), I couldn't help notice that by now, one would think, it should be clear to D.O. 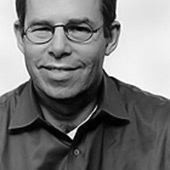 visitors: it is Michael Bierut who writes the insightful posts here and not Beirut. Please, if you can, support the March 10 AIGA/NY event -- I, with thanks, am. "Having a non-style is more slippery, amusing, and surprising than sticking to one nice recognizable look. It's a way of staying half-awake, or noticing things, enjoying things and learning to love things especially the vernacular and banal things that have been relegated to the garbage heap of design." I like the fact that the posters look completely different. I think they should be considered in historical context as well. Are we just too visually jaded now to like what was fresh then? Also consider the images without the titles above them, the posters force the viewer to spend time to decode the messages. Two words. Two movies. One on "So" and one on "What." Two very different versions of one great song. Hope nobody missed the second movie, like I've missed these posters for so long. Great stuff!!! As the designer for whom jazz is a lifelong love affair and whose work to a huge degree is passionately committed to not-for-profit causes I can only applaud the idea of AIGA/NY to present posters of Niklaus Troxler while listening to uncompromised music of Cecil Taylor and John Zorn with Masada at [email protected] The event smartly benefits Common Ground, the organization that proved to be the real deal in New Orleans already. As for Tarpitizen's comment on "... any one of those Polish guys whose names I can't spell..." ¬¬-- maybe as a Polish émigré in New York I can help a bit here: certainly R. Szaybo, J. Lenica, H. Tomaszewski among others did great jazz posters, including the brilliant ones by Waldemar Swierzy . Lastly, as a graphic designer whose own last name was misspelled hundreds of times over the last 25 years by my fellow Americans (somewhere in our office is an "Alterations" folder with the more creative interpretations) I couldn't help notice that by now, one would think, it should be clear to the D.O. visitors: it is Michael Bierut who writes the insightful posts here and not Beirut. Please, if you can, support the March 10 AIGA/NY event - I, with thanks, am. But Troxler is sort of all over the place, despite the fact that he is faced with the same problem over and over again. Many have already derided tarpitizen's response, so I hate to pile on, but if the repeating "problem" is JAZZ, isn't the fact that the work is continually evolving, always different, and a confluence of styles a perfect way to design jazz posters. I would think that you would try to illuminate the audience on the musician's style, not the designer's style. A series of posters on jazz that were always in the same style seems like a ridiculous notion. Sorry to seem so cranky, but these posters are at least a refreshing change from the contemporary, flatsstock style rock posters of today. Most of these use the same printing techniques, the same hand hewn type and imagery and borrow extensively from the past. You can't pick up a design annual without being deluged by these. They are no different in Seattle or Austin, or Chicago. So what exactly are they saying about a band, or a place? One more thing . . . JAZZ HANDS! Please forgive my boorish comment, Mr. Wajdowicz, it was written in the heat of my obviously cranky position on the mini-oeuvre (in the slideshow, anyway) of Mr. Troxler. But thank you for your list, because all four of the designers you mention make more interesting work than Troxler. I'm the last person to demand stylistic unity, though my statement about him being "all over the place" would seem to endorse that position. But my stand - and I'd detail it more here, but that would be too boring - is that Troxler is an interpreter of contemporary styles that he applies to his subject (jazz) and the fact that they are big and colorful about something that people love is why people are swayed by them. It's the opposite of "killing the messenger for the bad news;" here you have the messenger being elevated to the status of his subject when the actual work is just not as free, experimental, moving or "out there." I'm not saying he isnt' a nice guy. In fact, these posters have "nice guy" written all over them, in a way his subject does not. If he had spent his career designing posters utilizing the same stylistic gestures in the service of selling cold remedies or breakfast cereal, I don't think that would have gotten him into AGI. Michael, I appologize for not spelling your last name correctly. I can not spell. I only have admiration for someone who uses their real name on DO and I should honor this by spelling your name and all names (sorry kudos to Joe as well) properly. My guess is that Tarpitizen is saying something more than "So What". Indeed she seems to be suggesting that Troxler is a "Freddie Freeloader". I give up. I admit that most everyone loves a clown. Why is this so? This is a serious question about popular culture and its nexus with graphic design and the communication arts. Troxler, judging by our discussion here, seems to be squarely within the center ring of the circus. Niklaus Troxler is indeed a jazz fanatic. His fanaticism shows in his work. Some of it succeeds brilliantly when it virtually "plays" the music it heralds. Some of it is entirely trusting that the reader is already familiar with the subject, the place and the time and by doing so puts legibility second to experimentation. Some of it just doesn't communicate. All of it is fearless. Kudos to Michael Bierut for bringing this man and his work before us. ...and kudos to Tarpitizen for inciting such lively and intelligent commentary from all who have written in this forum. All too often graphic works are placed before us by an eminent designer or design authority and none dare question its validity. We just assume it must be something Important, even if we don't "get" it and feel we have much to learn. Or perhaps we have arrived at a stage where we are more trusting of our own instincts. Just as one should speak truth to power, those who do should not be excoriated for doing so.